[CONFSERVER-39129] When importing a word document, header order is not respected - Create and track feature requests for Atlassian products. 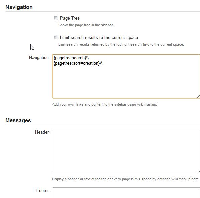 When importing a word document and splitting by headers, the page tree that get's create is alphabetized. What we are expecting to happen is that the page tree would be in the same order in which the headers appear in the document. To reproduce, simply import a word document which can be split by multiple headers that do not appear in alphabetical order within the document. Once the document is imported, notice that the page tree is alphabetical in order as opposed to their order within the document.